People — AIM Capital Ltd.
Juha Järvi is Executive Chairman and one of the founding partners of AIM Capital. Prior to AIM Capital, he built and managed global trading and proprietary capital investment divisions for various banks in Helsinki, London and New York. He has a M.Sc. in Economics from the Helsinki School of Economics. 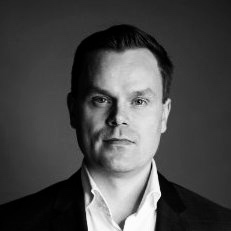 Miikka Hautamaki joined the firm in 2019 as CEO. Prior to Aim Capital, Miikka Hautamaki co-founded alternative investment fund manager Gramont Capital. Earlier in his career, he was a portfolio manager and a partner at Brummer & Partners Avenir and a portfolio trader at Goldman Sachs in London. He has 17 years of investment and financial markets experience and holds a Master's degree in Finance from Helsinki School of Economics, a Master's degree in Engineering from Helsinki University of Technology and is a CFA charterholder. In addition, he serves as a member of the board of directors of the CFA Society Finland. Tero Pursiainen conducts investment research in insurance-linked strategies. He is responsible for trade execution and position management. He has a M.Sc. in Economics from University of Helsinki. Tero Pursiainen joined AIM Capital in 2013. Mikko Niskanen is a member of the Board of Directors. Mikko has a long experience as an economist and from institutional investing. He has a Licenciate Degree in Economics from the University of Helsinki and is a CFA charterholder. 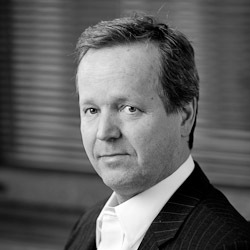 Mikko Niskanen is one of the founding partners of AIM Capital. Jordan Trudel conducts portfolio accounting, performance measurement and reporting. He has a M.Sc. in Finance from Hanken School of Economics. Jordan Trudel joined AIM Capital in 2017.